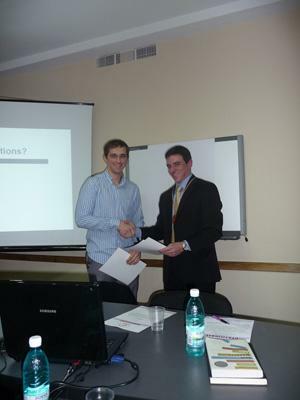 This volunteer consultant project works with Non-Governmental Organisations (NGOs) in Romania. Many of the NGOs we work with have social aims and are managed by passionate individuals. However, regardless of the enthusiasm shown by many NGO managers there is sometimes a lack of business experience and contacts. Our goal is to help them combine their passion with knowledge to deliver important services to the local community. How can volunteer consultants help in Romania? Providing individual training on subjects such as public relations and business communications. Providing NGOs with information on modern methods of developing non-profit organisations. Coordinating the development of new municipality rules for interaction with NGOs in accordance with European Legislation. Providing lectures on the pre-accession of funds for NGOs. The project works with various NGOs throughout Brasov. You will be working with a local staff member who will plan an itinerary with you. Gain valuable experience in developing NGOs in a foreign country. Be able to demonstrate tangible results at the end of your project. Be given full support by our local office to deliver an effective programme. You will spend time in a completely new environment, learning about a different culture and way of life. Romanians and other volunteers will want to hear about your life back home and your family and friends. We call this ‘cultural exchange’ and we think it helps our volunteers gain a new perspective on life. Safe accommodation with a Romanian family close to your project. If you have completed at least a Bachelors Degree in Business Management or International Development then you are perfectly suited to this project. If you do not have a degree but at least 2 years’ of consultancy experience, you are also invited to apply for this project. If you are interested in this project but don't have the relevant experience, then please read about our regular Business project in Romania.